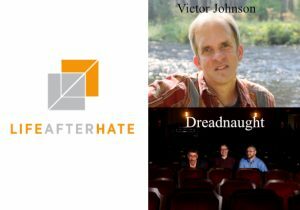 Victor Johnson shares his song On This Train about the Portland Heroes, Taliesin Myrddin Namkai-Meche and Ricky John Best who were killed in a white supremacist terror attack, and Micah David-Cole Fletcher who was seriously injured. Sammy Rangel from Life After Hate talks about the organization and the mission, and shares the story of one man’s recovery from hate and violence. Bob Lord of the band Dreadnaught talks about the band and their new CD Hard Chargin’. Music by: Talking Heads, Victor Johnson, Cyndi Lauper, and Dreadnaught.